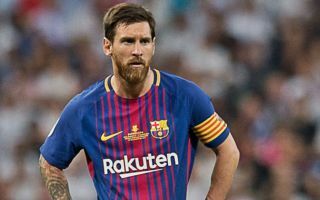 Lionel Messi isn’t too keen on Spanish giants Barcelona making a transfer swoop for Brazilian midfielder Arthur in the summer. Diario Gol are reporting that the Argentine superstar isn’t keen on the club making a move for Arthur, one that would set the club back €30M as per the same outlet, and that he is scared that the player’s fate will go the same way as January signing Yerry Mina, who has struggled to adapt since his move three months ago. The news outlet are also stating that the Barcelona icon would rather see Denis Suarez or Carles Alena be used in the first team instead of signing Arthur, a decision that may be smart one if the Barca board were to go along with it. 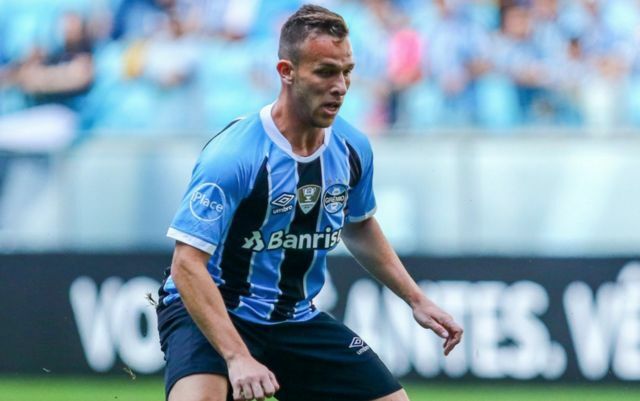 Gremio has impressed in his short career thus far, with the youngster putting in a fair amount of stunning performances for Gremio these past few seasons. It’s easy to see why Barcelona are interested in the youngster, as his want to pass and move with the ball and fantastic vision would see him slot in perfectly into the club’s midfield. Don’t let the player’s total of one goal and two assists in 44 appearances for Gremio fool you, as he is often tasked with doing the dirty work in the middle of the park for the Brazilian Serie A side. If Barcelona take Messi’s thoughts on board, it’ll be interesting to see what lies next for the future of the club’s midfield, and whether they will promote players like Alena to the first team in the near future.